Three honored multi-sport prep athletes who excelled beyond high school will be inducted at the 16th annual Ohio Valley Athletic Conference Hall of Fame banquet on Saturday, August 17 at WesBanco Arena in Wheeling. Honorees from the 1950’s Decade are George Deiderich of Toronto High School and Pete Gongola from Benwood Union High School. The selection from the 1940’s Decade is Chester (Chet) Daniels from Bellaire High School. The OVAC Hall of Fame, sponsored by the Bob Robinson Automotive Group, and the OVAC Museum are located inside WesBanco Arena. Previously announced inductees include Fort Frye’s Tyler Engle and Steubenville’s Liz Repella for the 2000’s Decade; Linsly’s Jamie Adams and Bellaire’s Scott Coyne for the 1990’s; Martins Ferry’s Shelly Carroll and Steubenville Catholic Central’s Mike Gulan for the 1980’s; Brooke’s Jeff Patterson and Mingo’s Ron Sismondo for the 1970’s; and Martins Ferry’s Bob DiStefano and Weir’s Leon Jenkins for the 1960’s. The selections for OVAC Family, Conference Contributor, and Media will be announced on March 31. GEORGE DEIDERICH (Toronto, 1954 Class)–He was a nine-letter, four-year Red Knights’ performer in football, basketball and track. A teammate of OVAC Hall of Famer Don Sutherin, they served as football team co-captains and also were starting guards on a 17-2 record basketball squad, the best record at the school in 17 years. In track, Deiderich was in a class by himself. He was the leading scorer two straight years in the one-class OVAC Track Meet–he scored 16 points as a junior and 16 1/2 points as q senior with 1sts in the high and low hurdles, 2nd in the shot put and a leg on the winning shuttle hurdle team. In Ohio’s largest Class A state meet, he placed 3rd in the 120-yard high hurdles. After a year at Valley Forge Military Academy in Wayne, Pa., where he played football, he earned a scholarship to Vanderbilt University where he starred in football and track. A three-year football letterman, he was a two-year starter at guard on offense and defense and was a two-time first team All-Southeastern Conference selection while becoming a rare consensus 1st Team All-America selection in 1958. The 11-player A-A honor roll included two Heisman Trophy winners in Pete Dawkins of Navy and Billy Cannon of LSU. The 6-foot-1, 200-pound Deiderich also starred in track as he broke the school record with a 14.46 second clocking in the 120-yard high hurdles. He was drafted by the Los Angeles Rams in the 23rd Round of the NFL Draft but opted to sign with the Montreal Alouettes of the Canadian Football League. He played in 19 games in three CFL seasons–2 1/2 with Montreal and finished up with the Ottawa Roughriders. He had a 52-yard interception return for a touchdown in 1960. PETE GONGOLA (Benwood Union, 1954 Class)–He was an honored three-sport Ironmen athlete and the most acclaimed of the 12 Gongola brothers who played sports for the old Marshall County school. 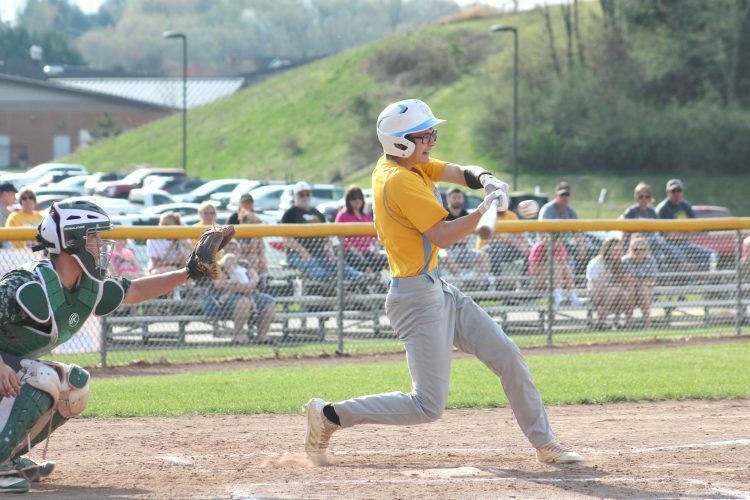 The 6-foot, 195-pounder led Union to five OVAC titles in there sports–two each in football and basketball and one in baseball plus a state football largest class runner-up finish as a senior. In football, he was a two-way standout end and kicker who earned 1st Team All-OVAC Class A, 1st Team All-Valley “Big School” co-captain, and 1st Team largest class All-State. He led the Ohio Valley with 9 TD catches as a senior and, along with 13 PAT kicks, scored 67 points–2nd in OV Class A. He also was cited as a top defensive performer. In basketball, he was named captain of the W.Va. All-Star team which played the Ohio All-Stars in 1954 at Madison Gym on Wheeling Island. But baseball was his best sport. The all-stater opted for pro baseball, with the Cleveland Indians’ farm system, after high school and played 13 years (1955-67) in the minor leagues. The catcher played 1,025 games with a .265 career batting average. He advanced to the highest Class AAA competition with Portland in the Pacific Coast League and with Dallas-Fort Worth in the American Association. He retired in the California Angels’ system. CHET DANIELS (Bellaire, 1947 Class) — He earned seven varsity Big Reds’ letters–tree each in football and basketball plus one in track. He earned about every major football honor as a center in football his final years–a two-time All-OVAC largest Class AA, two-time Al-Eastern Ohio, and 2nd Team All-Ohio as a senior and 3rd Team All-Ohio as a junior in the one-class Associated Press selections. He was team Most Valuable Player and team captain on the 9-1-1 record 1946 team which won the OVAC championship. He was selected on Ohio’s South All-Star team. He earned a football scholarship to the University of Oregon, where he excelled for four years–one year on the freshman team and three varsity letters as a two-way guard. The 1948 Oregon team went 9-1 overall and 7-0 in Pacific Coast Conference play and accepted an invitation to play Doak Walker-led Southern Methodist University in the 1949 Cotton Bowl. The Ducks bowed, 21-13 in the game with Daniels, an All-Pacific Coast Conference selection, kicking the extra point in the fourth quarter. The 1948 Oregon football team, with Daniels, was inducted into the state of Oregon Hall of Fame in 1990. Daniels, an honorable mention All-America selection, led the NCAA in place kicking points with 46 in 1949. After college graduation, he enlisted in the U.S. Air Force and, after discharge, made his home in Portland, Oregon.